I suppose I couldn’t pick two more different movies to be reviewing together, but having seen both this past weekend and having each fresh in my mind, I decided to double up on this review. Well, I think I’ll always be catching up on movies. I have never seen any of the Alien films until last Friday, when my best friend sat me down and said, “You have to at least see the first Alien before seeing Prometheus.” So we did just that — and I was amazed at how cool a sci-fi film could be made, even in the late 1970s. Sigourney Weaver was the sole survivor and hero of the film. I was a big fan. So going into Prometheus, I felt slightly more prepared and that much more excited to be able to make comparisons or relate similar ideas and characters if need be. For one, let me just say that I was a big fan of the cast of Prometheus. Both Michael Fassbender and Noomi Rapace have been making names for themselves in the U.S., especially within the past couple years. Charlize Theron is still a pro at playing a cold character, and the others worked out their roles as any other nonessential supporting characters would. Ridley Scott also brought us stunning visuals, which comes as no surprise to anyone who even caught a preview of the film. It really was a dazzling film to view on the big screen, especially the scenes within the caves. There’s been a lot of hubbub and analyzing over all the open-endedness of the film. My personal take is that the questions were intentionally left open in order for audiences to discuss, arrive at their own conclusions, or just appreciate the complex beauty of the film and take it for what it is–pure science fiction at its core. Many have made comparisons to that of Tree of Life, or people give their own take from an atheistic or Christian perspective. The only comparison I make of the two films is that Inception also closes with an ending that is a question: did the top fall over, did it not? Was Cobb still dreaming? In Prometheus, I’m thinking, did Shaw find her answers? I suppose she still chooses to believe in God when she puts the cross necklace back on, but she’s still searching. Will she find the answers she’s looking for? Will she survive long enough to find the answers? Are there even answers for her to find, given her limits as a human being? The answer to all those questions is I don’t know. A gloriously blissful ignorant I DON’T KNOW. And I enjoy not knowing, because I think that’s the point of the open-ended questions that close the films. It’s an intentional choice on the end of the writers/directors to let the audience decide and arrive at their own conclusions. 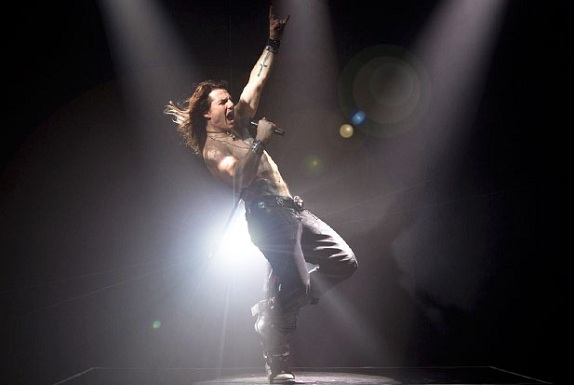 On the complete other end of the movie genre spectrum is a little musical called the Rock of Ages. 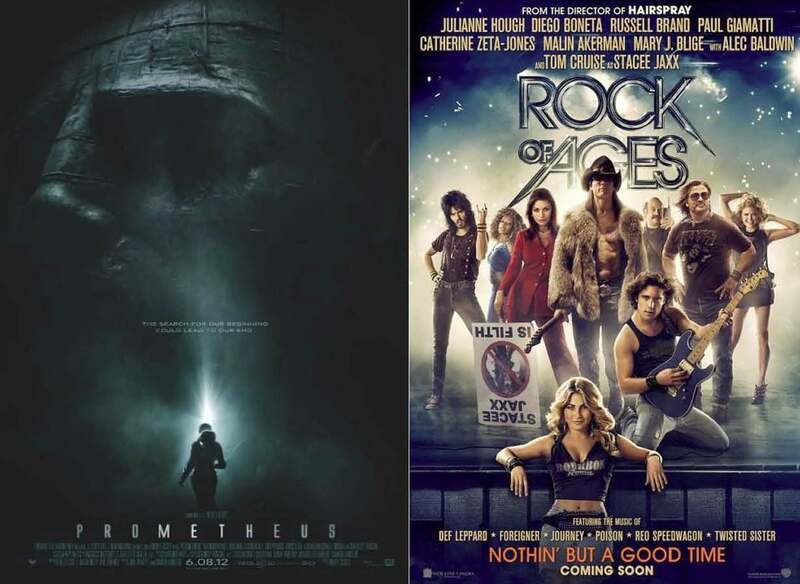 From many of the reviews I’ve read (and agree with), Rock of Ages can be summed up as a string of awesome ’80s music videos featuring some crazy big stars, from Tom Cruise and Catherine Zeta-Jones to Alec Baldwin and Russell Brand and newcomer Diego Boneta. It was an average film at best. 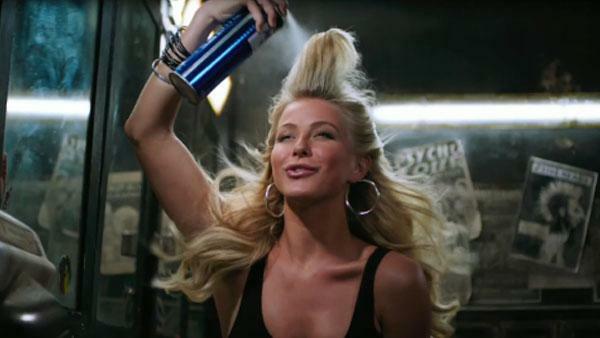 My biggest complaint is that I think Julianne Hough, who nailed her role, should stick to dancing instead of singing. This will sound petty to people who are less OCD than I am, but when you make a musical and the main role is sung by someone who’s voice is not only recognizable as highly edited throughout the film, but who clearly doesn’t possess the vocal range necessary to sing, and oftentimes, lead many of the huge vocal numbers, it’s frustrating as a viewer. 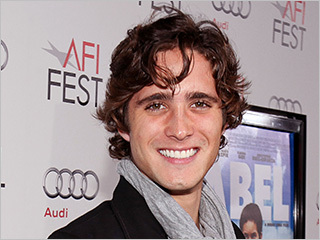 That being said, newbie Diego Boneta rocked the music and the role, and Tom Cruise was easily the most entertaining and best part of Rock of Ages. Some scenes with him are beyond funny, and make the film worth rental price just to watch him act like a rock star. I almost wish Alec Baldwin and Russell Brand would have had larger roles, because they were hilarious and enjoyable to watch interacting as well. The problem with Adam Shankman’s latest musical wasn’t the casting or the acting, and certainly not the music selection, but the terrible screenplay. No doubt the story works better on stage than onscreen. I recently saw Jersey Boys at Broadway in Chicago, and I loved it. But I couldn’t imagine seeing a screen version of it turn out well. I assume it’s the same concept for stories like Rock of Ages. 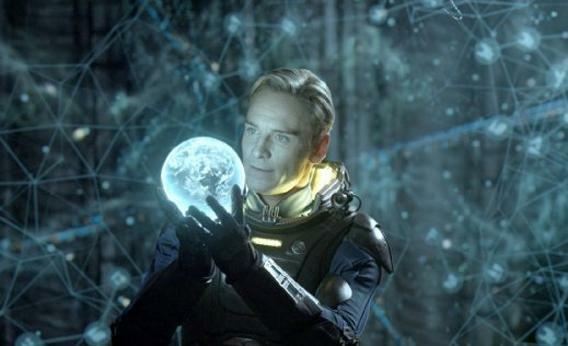 What did you think of Prometheus? I’m open for discussion, so throw yourself out there if you have an opinion. Did you see Rock of Ages? Did you did the film, or were underwhelmed like me? Share your thoughts below!